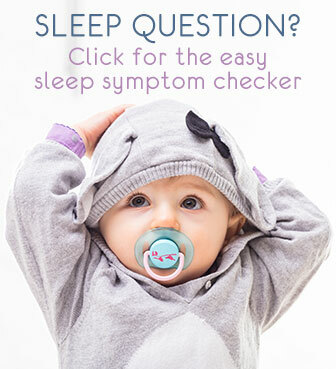 Question: Hello, My 9 month old son recently will not go down for naps on his own. He's been sleeptrained since he was 4.5 months and it's been great until now. He'll fall asleep beside me in the bed or if I rock him. I am still breastfeeding him for his 2 naps and give him a bottle at night(breast milk). Night sleep has been a hit and a miss with crying. He will sleep through thankfully. Secondly, ever since he learned how to stand up in the crib, I believe he struggles with getting down. Now coupled with this anxiety, when I leave the room, he brings himself to stand and may or may not cry right away but when he does it's full force. I try to go back in, put him down rub his back or tummy, give him his soother and bear back but he continues the same thing over and over wanting me to pick him up. I cuddle with him a lot while his ritual music playing before sleep time plays. He's always been so good, what happened?!?! I was hoping this stage would be easier since he's been sleeping on his own for a while now. Yes it seems like the separation anxiety is indeed playing up right now … unfortunately it's often like that. The very best baby sleepers suddenly enter a new phase of difficult settling. You don't mention how exactly how you did the sleep training but I have the feeling you used a gentle, mild method i.e. 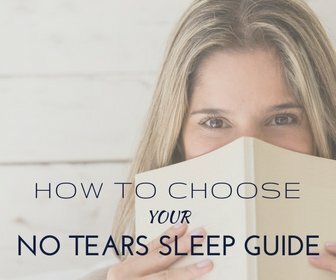 without crying it out? If it were crying it out, this could be a bounce back due to that (he may instinctively be trying to make sure he's not left to cry). But he may have just very well fit into his sleeping well from 4,5 months old and now has the retrogression partly because of the separation anxiety, but probably also combined with maybe some teething, the discovery of being able to stand up in the crib. And of course a lot (!) is going on right now both physically and mentally. Which again easily leads to poorer sleep. Although the anxiety can be heartbreaking, it is an important phase to go through. It is an opportunity for him to learn to trust you, get used to your coming back even if he does not see you, … This in turn builds his confidence in being a bit more independent, little by little. To get through this at best, continue of course as you have: cuddling a lot. Use the daytime also to “practice” a lot. Peek-a-book games in which you gradually hide further away and for longer, are extremely good at this. Being consistent is equally important: when you put him down awake and are ready to leave the room, do so, and with confidence. If he does stand up and cry, re-iterate. I know it is not easy but if you manage to stay calm and just keep doing the same over and over, he will understand you are serious about it, and will go along much more easily. If it is really impossible (with the standing up and crying), you can help him with winding down and settling a bit more by holding him for a while longer. Until he sleeps if necessary. Then once that works well, ever so gradually, you leave a tiny bit earlier (very similar to the gentle self soothing method I describe on the site here). It's interesting that it is specifically difficult at nap time. 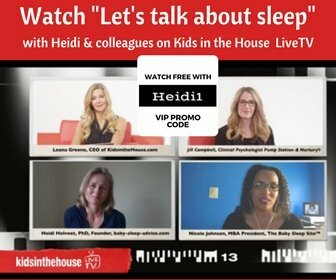 Have you gone through any possible differences between going to bed at nap time and at night? Is he dressed or covered differently? Outdoor/room temperature very different? Darker or lighter in the room? Normally we wouldn't expect the bottle feed would be more relaxing than the breastfeeding, usually it's the other way around. But if he tends to breastfeed restlessly, drinks much faster, lies less comfortably, or you feel less relaxed, then that could have a effect on the settling at naps. What can also play is how tired he feels. If he happens to be closer to over-tired at naps than at night, that makes a huge difference for how easily he will settle (regardless of the standing up and anxiety …). Being over-tired makes it a lot more difficult. So combined with the separation anxiety, see if you can adjust his nap schedule. It may be enough to start the naps 10-15 minutes earlier. A great tool to get a good idea of what his best nap times are, is the Sleepy Signs Log (part of the Nap in a Snap guide). On an Android device, you can use the handy free app (on google play here). Either way, you keep track of his (early) sleepy signs for a couple of days, which helps you set up the best-fitting nap times. And best-fit nap times mean easiest settling. Thank You so much for taking so much time and detail into your response. Before I messaged you I had spent a week rocking him for naps which resulted in him not sleeping as long and he probably got overtired through the process b/c I was still trying to keep him on his schedule when he was napping longer. Earlier bedtimes helped correct this and get him caught up. I noticed a big difference when I started to give him awake time in his crib so he can learn how to fall and be comfortable getting down. Once I saw he was doing well I made the decision to let him cry and do my best to cuddle and soothe him during our nap routine. By the way, my original sleep training method was the Ferber method. I chose to do the same. The last couple days have been great. He still wimpers a little bit when I leave but with in seconds he calms down and knows its nap time. You are right, the key is to not let him get overtired and it makes life so much easier for the both of us.